 The San Joaquin County Clinics (SJCC) have an outstanding opportunity to join their management team as the FQHC Finance Director! The FQHC Finance Director (Management Analyst III) plays a key role in the operation of SJCC. The clinics were designated as Federally Qualified Health Center—Look-A-Likes (FQHC-LAL) in 2014. The incumbent will be responsible for FQHC financial reporting functions and activities and ensures their compliance with applicable regulating agencies; the incumbent will report to the Ambulatory Care Services Director as CEO of the FQHC organization of outpatient clinics. As part of the SJCC management team, the ideal candidate will possess first-hand experience managing financial reporting requirements placed on FQHC organizations by federal, state and local agencies; and possess a working knowledge of said requirements and reporting mechanisms. This examination is being given to fill one vacancy in the Ambulatory Care Services Division at San Joaquin General Hospital. Please be advised that Human Resources will only be accepting online applications for this recruitment. Resumes and paper applications will not be accepted in lieu of an online application. A completed application must be received online by the final filing deadline. 2/22/2019: Recruitment amended to open until filled. Performs detailed studies of policies, procedures, organization, operations, services, finances and related matters. Advises and assists department heads and others in fiscal, organizational and procedural matters. Participates in the preparation, review, and administration of departmental budgets. Researches and analyzes laws, policies, and other regulatory requirements and changes; develops policy statements for management approval. Confers with representatives of other agencies or departments; coordinates projects; serves as liaison between departments. Prepares reports of studies and recommendations; prepares and answers correspondence and questionnaires. May supervise others as assigned. Note: Completion of supplemental questions is required. This is a selective criteria recruitment. Education: Graduation from an accredited four year college or university with a major in public or business administration, accounting, finance, economics, or a closely related field. Experience: Three years of progressively responsible managerial, fiscal, personnel or governmental administrative and/or analytical work, one year of which must have been for a Federally Qualified Health Center (FQHC) at a level equivalent to Management Analyst II in San Joaquin County service. Two or more years of qualifying experience in a Federally Qualified Health Center (FQHC) is highly desired and preferred. Substitution: A Master’s Degree in public or business administration, economics or a closely related field from an accredited college or university may be substituted for one year of the general required experience. Apply principles, practices, methods and techniques of public administration, management analysis, and statistics to the gathering, organizing and analysis of data in order to propose solutions to problems; understand, interpret, and apply pertinent rules, regulations and procedures; express oneself clearly and concisely, both orally and in writing; establish and maintain effective working relationships with department heads and others at all levels, both within and outside the County. Health Insurance: San Joaquin County provides a comprehensive benefits package to employees of this bargaining unit. The benefits include the option of three medical plans: a Kaiser Plan, a Select Plan, and a Premier Plan. Employees pay a portion of the cost of the premium. Dependent coverage is also available. Employees may purchase additional term life insurance up to a maximum of $200,000 at the group rate. Regular employees in this unit shall be provided with a supplemental life insurance policy with a face value up to $75,000. Holiday: Depending on date of hire into the unit, employees earn either 10 or 14 holidays per year. Administrative Leave: Each fiscal year, department heads grant 10 days of administrative leave to eligible salaried employees. Administrative leave may not be carried beyond to the next fiscal year. Note: County employees who currently receive a cafeteria plan allowance and subsequently transfer, demote or promote from or into the Middle Management represented unit which provides for a capped cafeteria plan contribution amount shall receive the capped amount of the Middle Management unit.